The International fest was a fusion of cultures, ethnicities, and food. Amidst the many vendors, there was a particular stand that drew in customers with its warmth. Selling the Santa cushions, fermented green tea, and lanterns was Rhonda – the founder of the Chin Student Organization. For six years she has been selling crafts in hopes of aiding many refugees with dire financial situations. Rhonda seeks out all opportunities to help her cause. International fest not only acts as a platform for funds, it is also a chance to recruit. ‘I am always looking for new volunteers like literally anyone who is interested. I have been speaking to some of the moms if they want to come and volunteer because a lot of them have some free time. They can come for one or two hours once a week. 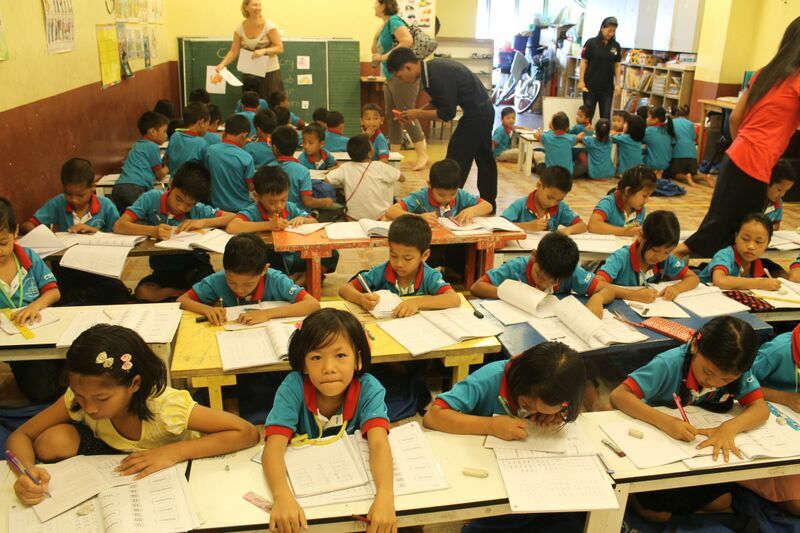 We need volunteers for teaching english or if they have other skills they can teach something else.’ Several ISKL parents and students alike have made enormous impacts on the lives of these children. They have been volunteering as teachers and slowly providing the refugees with an education. The money raised at the fest is particularly important for ‘emergencies’ or simply for daily items. Many ‘corporate donations’ only want their money spent on equipment for education such as books, pens, or uniforms. However, financing the lives of these refugees means more than education–it means food on the table. Often donations fail to acknowledge the need for gas bottles or oil, despite its crucial role in cooking the food. ‘I want people to be compassionate and while they are here in this country to do something for others’ said Rhonda. Saturday was about more than simply being international. It was a day dedicated to ‘opening people’s hearts.